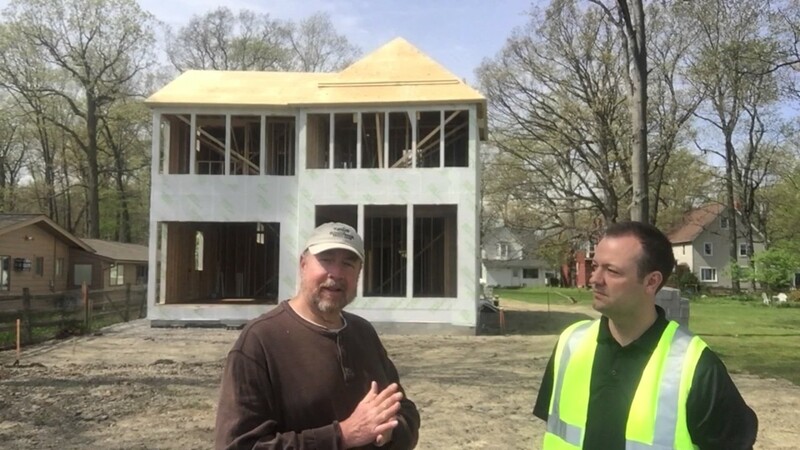 In the beginning of Dan Meehan's architectural career, he used Ice & Water Shield® on every residential project—two courses around the eves and a course up every valley and hip. Those houses are still around 40 years later and doing great, Dan said. It wasn't surprising, then that he was "all in with Grace Ice & Water Shield® for (his own home's) project". With the concern of severely blowing winds and horizontal rain, Dan will wrap the whole roof in Ice & Water Shield®. Now Dan and his wife will be able to enjoy the breathtaking lake view without worrying about weather damage. Dan turned a challenging lot layout (only 45 feet wide) into an opportunity to build a unique design that capitalises on unbeatable views of Lake Erie. "The joy of designing your own house as an architect is looking at the site and combining that with how you live and your lifestyle", he said. This is the second home Dan has designed for himself. Two decades ago, he designed a home in which his family grew up. Now, he's designing a retirement home for him and his wife. "Our lifestyles changed. We're downsising. And we want to spend a lot of time enjoying the views".